224 Seiten, 29 x 26 cm , 1756 g.
In September 2011, a group of scientists, artists and writers embarked on an expedition to North-West Svalbard, the northern extremity of Norway. Travelling on a ship, the M/S Stockholm, each of them recorded the event from their own professional and personal perspective. The aim of the expedition was to discuss the discourse of the voyage regarding the environment and our relation to the land and nature. As such, this book turns out as an artistic account integrated by scientific documentation. A range of environmental scientists have warned for decades about the effects of global warming, often prophesying the future collapse of the earth’s ecosystem and urban communities as we know them. With regard to this, our culture’s concept of a frozen north is about to change and with it, our perceptions of the Arctic. The sites on the route map of the journey facing the northern shores of the Polar Sea all have a story to tell, natural or cultural. 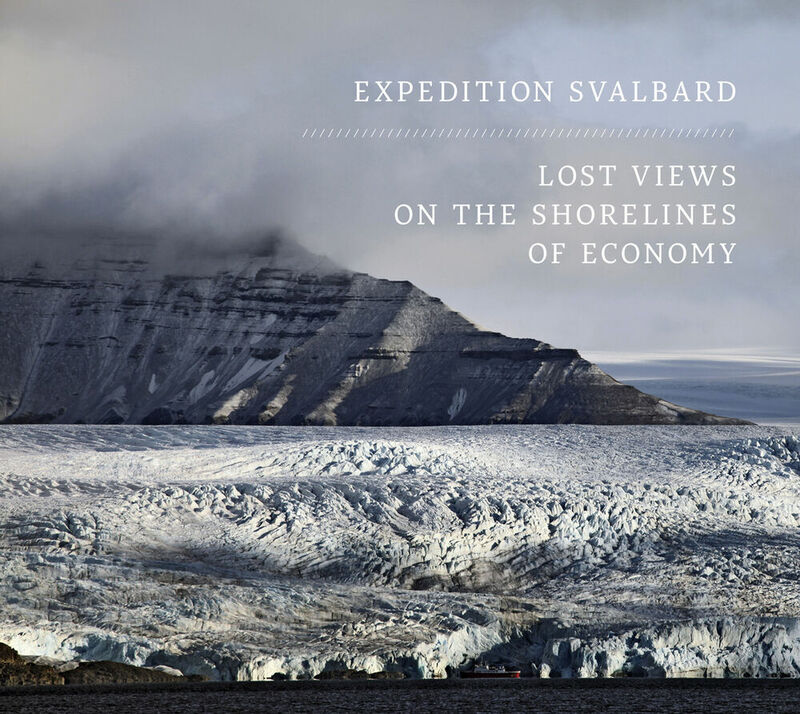 The book is a narrative of the places visited by the expedition with the many different approaches shaping the views of the land encountered. The poetics of artists and photographers meeting the environmentalist writers and researchers of science and history tells the story of an expedition following its historic predecessors. The history of photography and earlier travel accounts as well as burning contemporary issues guided the journey into the Arctic. The book is an outcome of shifting voices from a wild place.